How To Register Barcode in Malaysia & Generate QR code online ? Need a Barcode ? Having your own product & need a unique barcode ? GS1 is the only global oganizer to register barcoce in Malaysia. 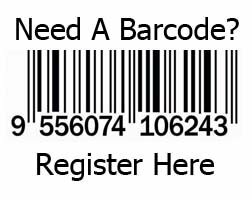 GS1 barcodes registration is an excellent way of monitoring the inflow and outflow of products in your business. 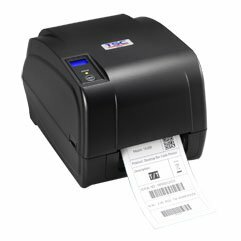 Barcode printer Malaysia is used to print codes for your products such that when you scan the products at the point of sales, they automatically read the price and charge the client the amount attached to the products. If your products are programmed into the system, even selling and serving your clients will be an easy process. It will be easy for you to account for all the goods that you sell or bring to the store. The GS1 barcodes are useful worldwide and when your products are coded you will have the ability to monitor their progress anywhere in the world. Assuming that you product importation business, you will be able to monitor their progress from your computer. Through this kind of technology, you also have the ability to monitor your sales in the various available shops centrally. Label printers should be customised to meet your shop’s outline so that you make a soft copy representation of your shop. Since these machines have the ability to make you see what you are selling at a high frequency, you will have the opportunity to known the fast and slow moving goods in your business. Owing to this enlightenment, you will have the ability to make the best decision on which kind of stock you should keep full in your stores to avoid shortage. You will also know the products that do not move so quickly in the business. Just get barcode printer supplier Malaysia so that you receive high-quality material that will serve you efficiently. When using the barcode printers, you will be scanning the products and getting their prices automatically. This will save time compared the manual input of prices. One employee can serve hundreds of customers without causing any delay. You will also be saved from employing a lot of staff in your business which further cuts shorts your business expenses. The stealing of products by employees in your business will come to an end since you will have monitoring equipment that makes you to see the remaining goods, the goods you have sold and the amount that you have acquired after every business day. To conclude, barcodes are important for the smooth running of your business. You will have maximum transparency when you have the barcodes because every sale and product orders will be revealed on the system thereby making you to know what you have in stock and what you are selling. The barcodes come with 24-hour customer help, and you will have the best outcomes when you follow the instructions are required. All machines come with a warrant and depending on the quality and size of the machine that you want the price vary from barcode to another. The QR Code has become the most used two-dimension barcode. It is used in products and packaging materials to help in identifying the contents. The initials QR stand for Quick Response and therefore it is an easy method of identifying the contents. All you need is a reader and the device on which the reader is installed. Most QR readers can be downloaded online and installed on the mobile phones. Essentially the code uses a hashing method to indicate the important message that is encoded using the QR code. You need is a label printing machine so that you can print the labels with the QR code and use them on the items that you need identified. To generate free QR codes online follow the following steps. First, you need to know the websites where you can generate the QR code for free from. 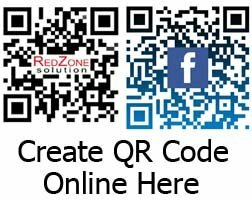 There are several websites that offer a free generation of QR barcodes, and therefore you have the liberty to make a choice. However, it is important to look for a QR barcode generation website that allows you to use the code for commercial purposes without having to pay a fee. A good of a code generator website is www.barcode-generator.org . Using that website, you can generate a free commercial QR code and use your Label printer machine to produce the labels. Note that some websites will not require you to create a website. FREE QR code Generator WebSite. There are several different of codes data types, and therefore you need to select the one that you will need to use your barcode printer online. To be more precise, most websites will offer over 20 QR code data types. Good examples include the website URL, Facebook page, MAP Location, etc. Be sure of the information you feed in because this is what the barcode printer online will use and also the label printer machine you are using will print these details. It is advisable that after imputing the details, you copy and paste so that you can test. If you are doing this on behalf of a client, let them send you the details via email so that you just have to copy and paste. Remember once the label printing machine prints you can’t change anything on the printed labels. Apply the correct format such that the barcode printer online will be able to print clearly. You should make sure that the font is visible and very clear since it will be presented as you instruct. The barcode printer software cannot change anything after you have saved the setting. After the code has been generated, download it and test to make sure it is working as expected. If it is print using the label printer machine. Remember that QR code should be clear so that scanning is easy. Therefore make sure you are using the best quality label printer machine. 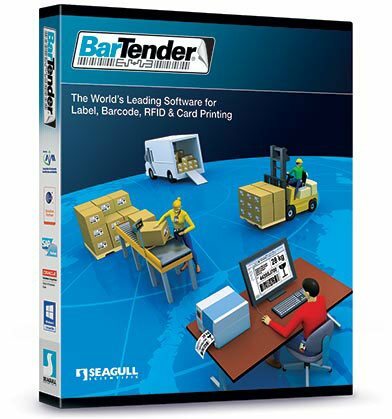 Barcode label printing gets faster, better, and more efficient, by using BarTender, a software solution from Seagull Scientific. Build on efficiency, the software converts letters, numbers, and binary, to any kind of barcode. Its excellent high-quality printouts made of sharp lines, dots, and squares, make it easy for the scanners to decode them. Since 2016, more companies have turned to the software for use in their barcode printer and scanner POS systems. The reasons for this are quite simple; the program generates few errors, cuts costs, and meets all the regulations. What’s more, is quick, accurate, robust and precise. The applications of the barcode label printing software are vast and diverse. You can use it in the control and printing of barcodes for inventory management or plastic cards for supermarkets and more. Some of the examples of real-world applications of the program are; the fast-tracking movement for products in the company’s supply chain. In hospital pharmacies, it has enabled quick renewal of prescriptions. Other businesses have used the software to remain compliant and operate with regulations. It has made the process of knowing ingredients in products simpler. Being adaptable to different industries, it has other uses not listed here. With numerous design labels, you can choose the suitable one efficiently. You don’t have to manage different documents, plus, you can program the software to print layers and templates automatically. In addition, only users with passwords can access the layers. BarTender makes it is straightforward to create any barcode with over 60 barcodes symbolises, and over 400 preformatted components. Large enterprises with various premises throughout the world can use the program to manage all their barcode printing. It allows for encryption of formats, job logs, auditing the system and permission-based printing. With the Print Portal App, you use your iPhone, Android mobile or tablets, to print barcodes. You can just point and print. In addition, you can access its web applications from any browser in the world. The software allows you to print from various databases including Oracle. You can also save and search data in the systems using dynamic forms. You can create exclusive serial identifies, at frequencies you select. 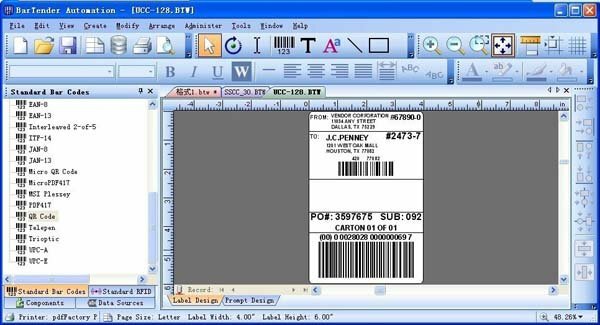 The barcode label printing software supports the printing of double-sided cards and will encode information into smart cards. In addition, working hand in hand with a scanner, you can write data in magnetic stripes. Since the program is widely used, there are numerous sources of information are experts dotted all over the world. The company has offices in Asia, Europe, and North America. The right software stays with you as you scale the business. Once you purchase the BarTender, further upgrades are at no charge. Before the invention of barcodes, both large and small business depended on cashiers to manually input data about the products. Nowadays, it is typical to find a barcode printer in most offices and retail stores. The printers are an affordable technology that has assisted businesses to create unique product identifiers. What is a Barcode Printer ? A label printer is a device designed to print tags that can be attached to physical items. The printers are used to label cartons meant for shipment and retail objects. There are two different printing technologies that barcode printer use which includes, direct thermal and thermal transfer systems. The printing technique involves the use of heat generated by the thermal print-head to cause a chemical reaction that blackens barcodes onto a specially designed paper. However, barcodes created from this system may become unreadable when exposed to sunlight, chemicals, water or heat. Thus they have a short lifespan. The printer is conventional for barcode applications such as shipping labels and receipts. Thermal transfer printers use the thermal print head to heat a ribbon which melts resin or wax onto the tags. The barcodes produced by this technique have excellent printing quality, label longevity, and near-permanent scanner readability. However, they also have high production material costs, and barcode printer price is higher than that for direct thermal printers. But, they can print coloured text, logos, graphics and a wide verity of materials. The tags are applicable for product identification, inventory control, and asset labelling. As the leading label printer supplier Malaysia, we have various types of printers that will satisfy your specific needs. The printers can fulfil the requirements of corporates, home users, and industries. It is has a subtle size design to fit on your desk. The printers are used for light to medium-duty tasks. They come with a roll stock of two to four inches wide. The four-inch label printers can use both thermal transfer and direct thermal techniques and are suitable for office and a fast-paced retail environment. The printers can hold a role of stock for up to eight inches in width. They are geared for medium volume printing duty, are low priced and quiet. Industrial printers are used for heavy-duty and high-performance printing jobs. These printers are suitable for use in manufacturing, logistics and distribution industries. They also have extensive paper capacities, longer service life, and functions faster. Choosing a barcode printer depends on various factors including the business needs, conditions of use (fast or slow-paced), the frequency of use and type of connectivity required (wireless or cable connection). Any of our barcode printer price will not discourage, and you get a tool to help the business keep track of inventory. Also to reduce cost and shipping errors and enhance customer services. Investing in a printer will open up new possibilities and help to see the return on investment. Finally, label printers can also create logos and graphics to help fortify the company's brand. All companies who want to enhance how things are accomplished in their organisation may want to consider introducing industrial label printers. While there are organisations that will think that this tool is insignificant, they can actually enhance the function of our facility. When you are planning to purchase a label maker, it is highly important to consider its functionality. You should also look at the benefits that your organisation will gain when investing in this equipment. Here are some of the benefits that an organisation can enjoy once they decided to have their on-site industrial label printers. Keeping your workers free from accidents and injury is a key aspect when managing your business. By using Sato barcode Printer, you will be able to create a mark on various types of pipes complete with the details. Containers that may contain hazardous chemicals and materials can also be labelled appropriately. They will not only be aware of the content of the container, but they will know how to handle the container properly. In case you are ordering your company label from a third-party provider, you have probably allocated a significant amount of money in this area. You will need to monitor your stock in order to avoid running out. Having your own industrial label printers can help you save cash. You will have the capacity to print a number of labels at the time when you need it. This also means that you no longer have to stock on the labels and you can use the storage space for another purpose. When you rely on a third-party printer, there are instances when you will have to encounter some delays in the shipment. This will massively affect the production of your company. With your in-house zebra barcode printer, you will eliminate the possibility of delays as long as you have blank labels. Public holidays, bad weather and other unforeseen situation can delay deliveries. With industry label printers, you will no longer have to go through that ordeal. There are instances when you have to conduct some changes to your labels. This can mean that all your stock labels will be wasted. With the industrial label printers, you will be able to avoid this. You will be able to change the appearance of your label whenever you will need it. Whether the company is implementing a new regulation or you are going through a rebranding process, alteration on your labels can be made whenever you need it when you have an on-site Sato barcode printer. Finally, with the zebra barcode printer, you will be able to add details and information to the label. You may add dimension, batch codes, identification and other information that will support you in tracking the product. In case you are still unsure whether industrial label printers will be a great addition to your facility, contact your local supplier and they will happily assist you in the matter. It is accurate to say, the days before the invention of barcode printers, were long and painful for millions of clerks. Tediously, they had to hand label, each item, and manually track them. Currently, desktop printers have become a common feature in numerous offices world over. Some made by great companies like the TSC, Argox, and Toshiba barcode printer, are standard and necessary, with businesses doomed without them. Desktops barcode printers, being inexpensive have found use in multiple industries, performing numerous functions. They have driven profits, helped consumers in the buying process, and more. However, desktop printers were not always a standard feature. If you incorporated barcodes in your product, seeking the services of a third-party was required. They would design the barcodes, print, ship and finally charge you money. Now products like the Argox barcode printer, help businesses, dodge the middlemen, thus cutting costs incurred in inventory control and shipping. What is more, they have given greater authority and delivered power to the business owners. What are Barcode Printers and Types? These printers are unlike anything found in most offices, though some of the technologies are shared. They don’t print documents, instead, ready to stick labels with an adhesive side. Some print labels directly on the products, while others print IDs and driving cards. Other printers are small and light, worn by the user. You take them around and at the end of the shift recharge them. Among the printing technologies used are thermal, dot matrix, ink, and laser. Inkjet, laser, and dot matrix are not known to produce high-quality labels created by thermal printers like the Toshiba barcode printer model. They are cheaper to run, have low maintenance costs, produce fewer errors, and labels are readable as well as durable. Thermal printers are available either as direct thermal or thermal transfer, both with different applications and label quality. Direct types produce temporary labels that cannot withstand the elements. On exposure to water or sun rays, labels fade and become illegible. You only use them for labels that are not expected to last for long periods such as those used in shipping and retail receipts. An advantage is that they use no ink or ribbon; when heat is applied to the paper words appear. Investing in a thermal transfer printer is necessary especially for manufacturers. They use ribbons, but labels remain legible even after a long time and exposure to the elements. Typically, you must use them for specialised applications, such as printing medicine labels. Efficiency and convenience are the top things to consider when looking for barcode printers. You have to buy models that will last the business a lifetime. Also, going with established brands means greater support if the machine break down. Furthermore, the printer should come will all the latest technologies like Bluetooth. You will never go wrong, by purchasing a TSC barcode printer. 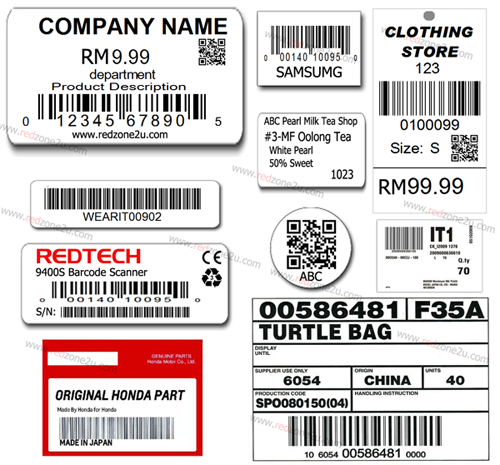 Also, professionally looking barcodes are possible using a Toshiba or Argox barcode printer.